There’s a lot of pushback right now about the phrase “thoughts and prayers.” I get it. Thoughts and prayers are not a substitute for action, but they are a prelude to it. They are a chance to process - to cry, to talk, to listen. They are a time to build insight and understanding. I’ve needed this time lately. The world seems to have gone mad. I have friends facing serious health challenges. My own personal path is unclear. If there was ever a time for thoughts and prayers, this is it. I started this little Navajo style rug back in July, but stepped a way from it as I got caught up in the exhausting business of closing a business. It was a chaotic time for me. 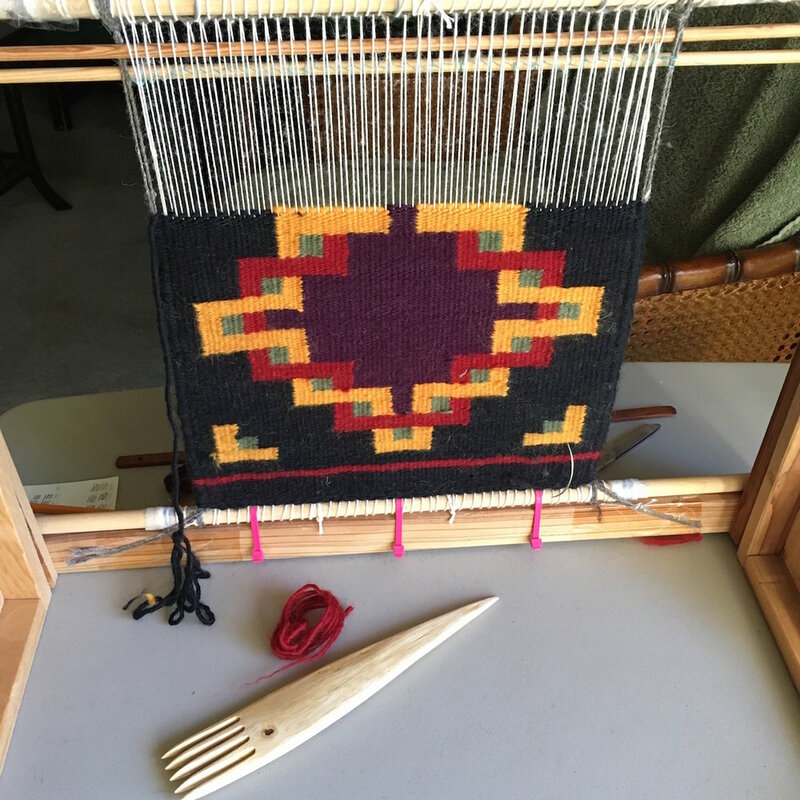 Weaving is an important part of Navajo culture, and in many ways the weaving style reflects the core value of Navajo culture - hózhó. There is no effective translation for “hózhó.” It is a combination of balance, order, beauty and harmony. Navajo weaving is a sensitive business. It is quiet - there are no noisy treadles or beater - you can hear the world around you. You feel it as your fingers manipulate the warp and tell you when the weft is properly placed. Your eyes tell you when the pattern changes. It is a patient business. It’s not speedy - especially for a beginner like me - it takes time. That time is an excellent time for thoughts and prayers. I came back to this weaving the other day. Many thoughts and prayers have been woven into it. My sense of hózhó grows. I will call this my prayer rug. For a while, I will weave. I will think and pray. Then I will get up. I will take action. But when it is time for thoughts and prayers, I go back to the loom.